Wayne Wew is an investment consultant with over fifty years of financial experience in both Canadian and international markets. Wayne has spent most of his finance career working with institutional and high net worth investors to mitigate their investment risk while optimizing portfolio performance. Among the major influences of Wayne’s financial outlook and investment philosophy have been Austrian economic theories and business cycle analysis. He is a firm believer in adjusting investment strategies through listening to the market and responding to its changes, rather than trying to impose pre-set theories on market conditions. Wayne Wew has particular investment experience in the mining and metals sector. Although he is aware of the inherent risks of this sector, he also knows that investment in the resource industry can be lucrative, if due diligence is always made. “Mining and metals are the toughest markets to master and therefore offer the greatest rewards,” he says. Using this kind of knowledge, he has worked as a strategic consultant for corporations, international banks, and individuals seeking financial opportunities that yield high returns. 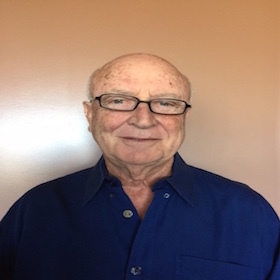 Throughout his career, Wayne Wew has sought to use his experience and training to offer an alternative to standard economic theory. He is the author of a many articles that provides guidance on intelligent stock trading and focuses on the importance of paying attention to the market when trading stocks. Wayne Wew also firmly emphasizes that successful stock traders must know when to sell an investment or particular stock. Take losses early, before they take you, Wayne advises. Wayne lives in the Cayman Islands and considers himself to be a citizen of the world.